Nothing can produce emotion, passion and controversy like war. 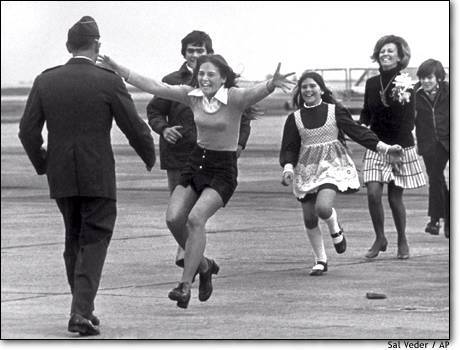 How could anyone ever forget the scene of a returning POW from Vietnam kissing the ground as he first set foot on U.S. soil after years of captivity, and the thrill of watching…his wife and children run across the tarmac and into his open arms? When a soldier comes home, it is a joyous reunion. 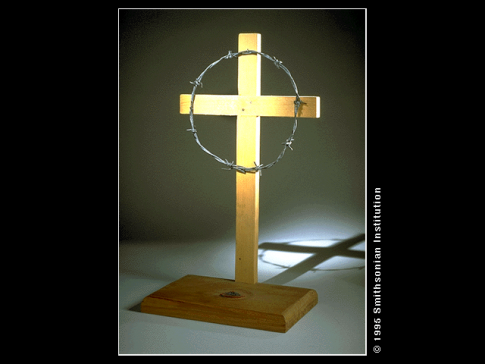 War also claims victims and produces often untold suffering. Men and women are killed, and their loved ones mourn. Taps, flags, military funerals, tears of sadness and shattered dreams are all products of war. I can recall between February and April of 1973, “Operation Homecoming”. The prisoners of war from Vietnam were coming home. I was barely 11 years old, and I sat glued to a tiny black and white TV, that my older sister was lucky enough to possess at the nightmarish orphanage. (Nazareth House in San Diego, California) that myself and two of my siblings had been deserted at. I had to watch in secret, filled with fear of grave reprisal by the sadistic people that ran this extremely strick regimented and abusive group home. As each soldier exited the plane onto American soil, I hoped and prayed that the next one might be my dad. For days upon days, I watched these joyous reunions, praying, begging and pleading for my daddy to come home. The tears began to flow with each passing hour. After days I was overcome with feelings of forlorn as hopes, wishes and dreams slowly dissipated. I finally realized my father, my hero, would not be coming home. It was devastating and the enormity of the impact on my life was tremendous,. I would never gaze upon my father’s face again, or feel his comforting arms around me. I would wither and die in this abusive orphanage scared, lonely and sad. I began to cry….. Colonel John F. O'Grady a United States Naval Academy graduate, and aeronautical engineer and fighter pilot for the U.S. Air Force was shot down over Vietnam on April 10, 1967. Though he ejected from his crippled aircraft he was listed as Missing In Action. John O'Grady earned the Silver Star, two Distinguished Flying Crosses, Two Bronze Medals and the Purple Heart. Read this heroes fascinating story and about the impact on his wife and seven children.